This story by Cecilia Xu originally appeared on Dragon Trail, our content partner site. The proportion of travel decision makers aged 19-29 reached 22.1 percent, a significant increase compared to previous years. 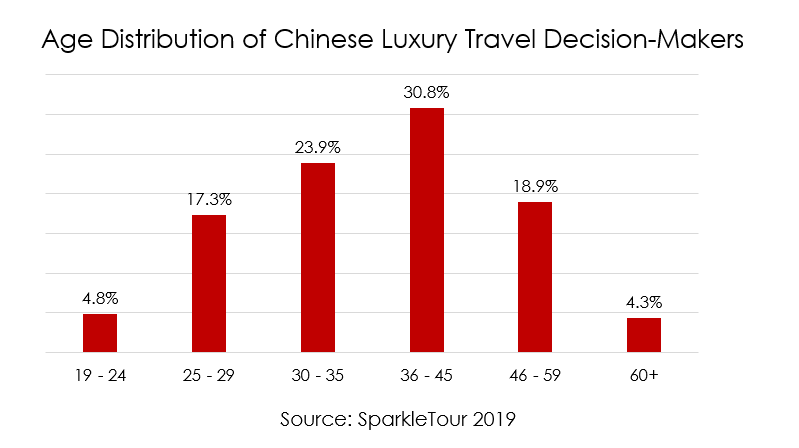 In their hotel choices, Chinese luxury travelers born in the 1990s show a preference for novel experiences, including newly-opened hotels and higher-grade rooms. 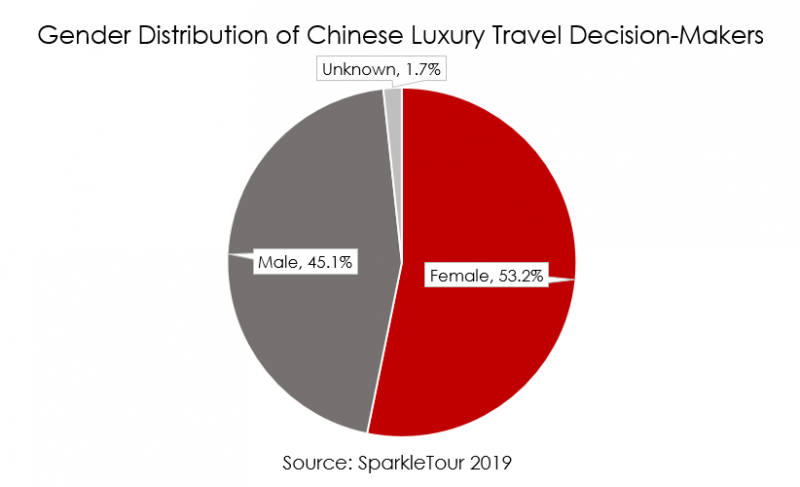 Women account for at least 53.2 percent of decision-makers for high-end tourism consumption. 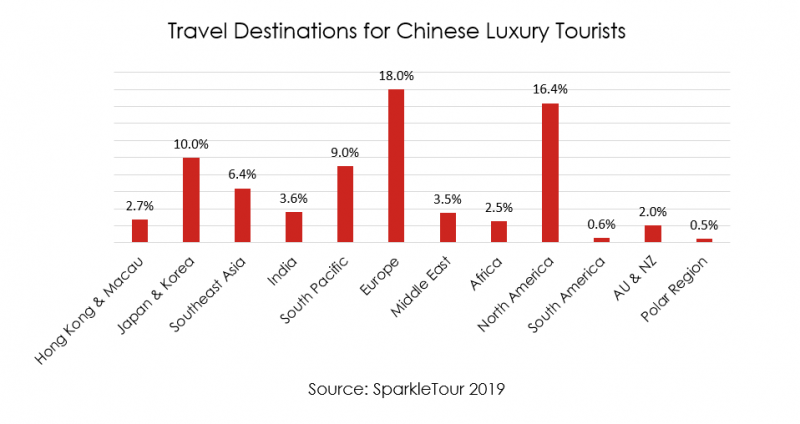 According to SparkleTour’s data, the top five destinations for high-end tourists in the past two years are: Europe (18), percent and the Americas (17 percent), with Japan and South Korea, and Southeast Asia and the Indian Ocean both with (10 percent). The South Pacific Islands (9 percent) and the Middle East and Africa (6 percent) rose fastest in the top five. Tahiti and Fiji are leading high-end travel in the South Pacific, while growth to Southeast and South Asia has been almost flat. 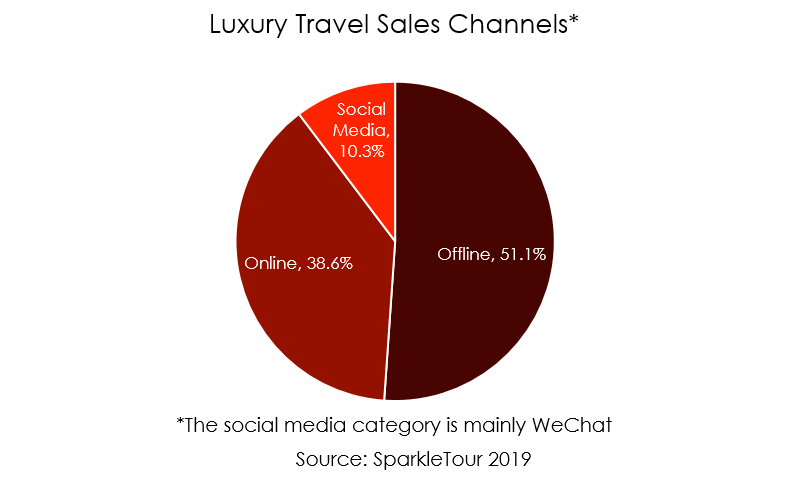 The proportion of tourists going on long trips of seven days or more reached 55.6 percent. Those traveling for 15 days and more reached 6.5 percent.